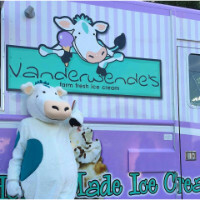 Im a Fan of Vanderwende Farm Creamery... Are you? Fill in the below form and you can recommend ‘Vanderwende Farm Creamery’ to a friend or family member via a text message. Show your support with a quick share of ‘Vanderwende Farm Creamery’. 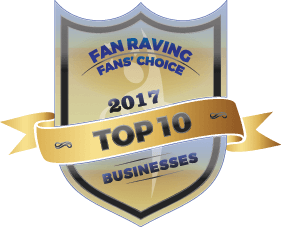 I am a fan of Vanderwende Farm Creamery because I work there and they don\’t treat their employees like employees. They don\’t even treat their employees like friends. They treat their employees like family. They have made me love my job so much that I\’ve changed colleges, majors and want to own my own dairy farm, pasteurizing plant and ice-cream store like them. The ice-cream is homemade and delicious! It\’s so delicious that my dad, who lived in Florida and North Carolina asked me to bring him Vanderwende\’s ice-cream in a cooler of dry ice when I visited. The service is impeccable because we treat our customers like family. 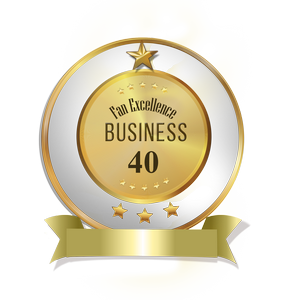 We truly care about our customers and I think it\’s because the owners truly care about their employees and the employees know their work is appreciated and valued. Without a doubt, the best ice cream store EVER. This is my favorite ice cream! They have so many delicious flavors to choose from and have such a friendly staff. And their waffle cones are also outstanding. If they would be any closer to where we live, I’d really have a problem! Best ice cream ever! And very friendly staff! I love the there ice cream. The flavors are amazing and the ice cream is super creamy. It’s local and fresh from the farm. Always great service. Fantastic ice cream flavors fresh from the farm. My assistant, who goes regularly to a family vacation house at the Delaware shore, has standing orders to stop at Vanderwende\\\’s and bring some back home, under penalty of dismissal if she doesn\\\’t. The ice cream is delicious! The staff is very friendly and awesome. They have awesome staff that are young and friendly. Always very polite and fun when you go there. The ice cream is AMAZING!!!! And when my son wanted to ask his girlfriend to homecoming this year… they allowed us to come there and helped by holding the signs we made. It was great and definitely recommend them for the flavors of ice cream and the money you pay for it. Always a family stop when headed over the bridge! Wonderful ice cream, great value and pleasant people all around. Best ice cream I had!!! Haven’t tried a better one. Great service, they always have a smile in their faces. Love the delicious ice cream! Vanderwende is the best ice cream, period! Hands down BEST ice cream around!! Owners are awesome and welcome opportunities to support their community. Plus, the ice cream is amazing! Best ice cream I have ever had! So rich and creamy! Vanderwende Farm Creamery has the BEST Home made Ice cream and home made Waffle cones in the whole world bar none. The Best Customer Service too. Young and old love that place. Oh, and dogs outside waiting love them too. The BEST ice cream I’ve ever had! So many flavors to choose from you will always be satified. The portions are huge and the prices are affordable. Highy recommend! Always a great time! The Ice Cream is fabulous and the staff is always friendly. Don\\\’t let the line scare you, it moves quickly, and there\\\’s a reason there is always a line, they are THAT good! The best Ice Cream and staff around! Second to none! Excellent service and outstanding environment. Best homemade ice cream around with big portions and the friendliest people! Love vanderwende ice cream. Always have plenty of flavors and not long of a wait at all. The place has their own cows! Plus their icecream is so rich and creamy. Their banana is my favorite. There’s a reason the parking lot is full when the temperature starts to creep up. Amazing ice cream and customer service! Love it! The staff is always so friendly no matter how busy they are. The ice cream is the best around! Love this place. We visit the Delaware shore area at least once a month from Maryland and a favorite part of going is stopping here for ice cream and milkshakes. Friendly faces and just a happy place! Best coconut ice cream I have ever had! Best ice cream around plus you get more than what you pay for. Great variety of flavors. We love Vanderwendes! Amazing ice cream and awesome prices! Vanderwende ice cream takes me back to hot summer days when we hand cranked ice cream made with real cream and fresh fruit. There\’s nothing like it! Great ice cream &a staff! This place is absolutely amazing! Very friendly staff and it is always clean! The ice cream is the best tasting around and the prices are reasonable! One scoop is enough to share! I will never go to another Ice Cream shop! Best icecream i\’ve ever tasted. Lots of unique flavors. Friendly staff. You\’ll never go away unhappy.